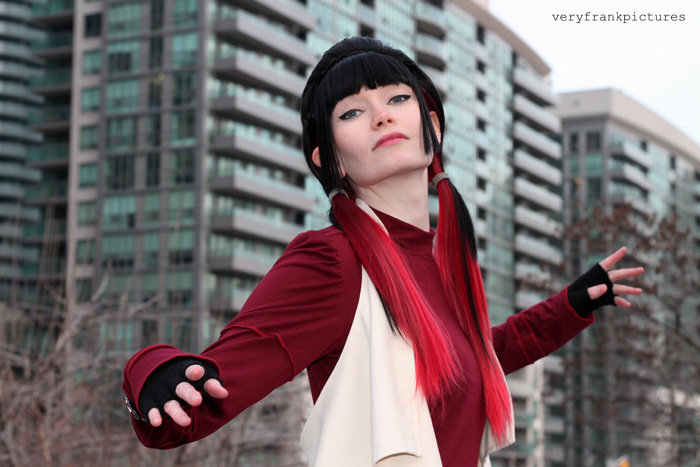 "When I first saw Arda Wigs' limited edition "Anti Valentina" design last year, all I could think was that it would complement Viria's modern Mai concept perfectly, and that I was long overdue for an Avatar cosplay. 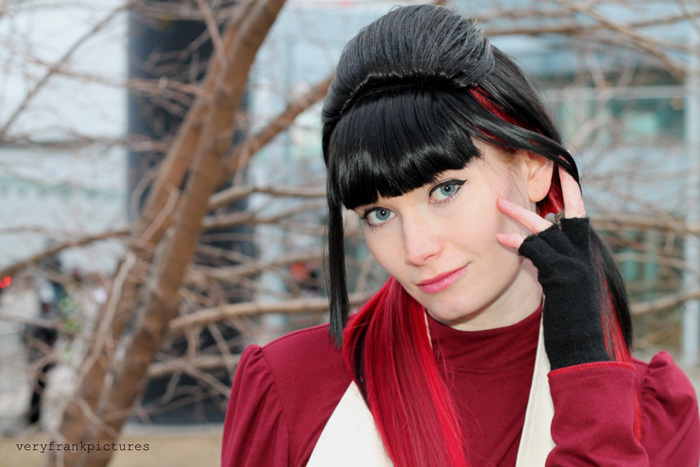 The costume is a mix of purchased and hand-made clothing, and I did a fair amount of styling work on the wig. 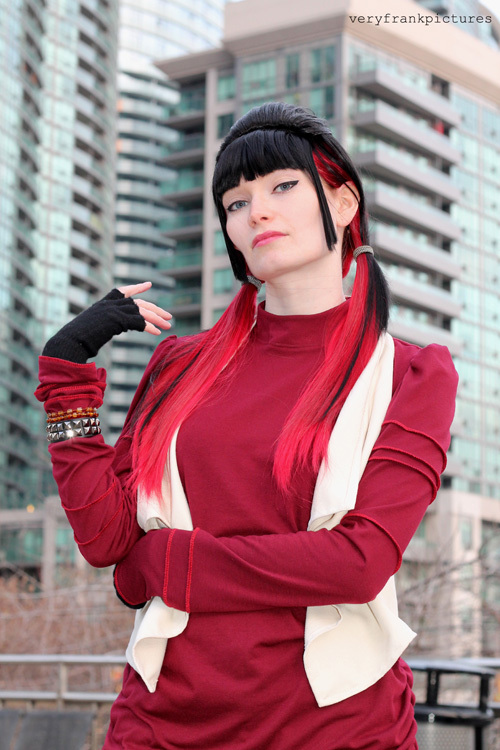 Mai's shirt was particularly fun since I got to really get creative with my interpretation of the artwork; incorporating ruched seams and decorative stitching instead of just having a plain shirt. 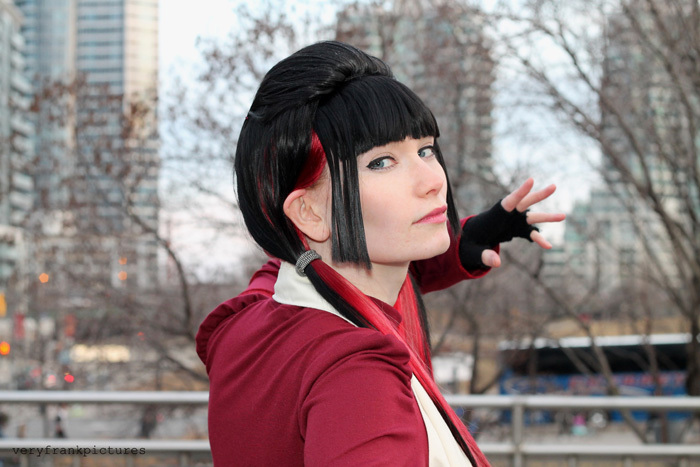 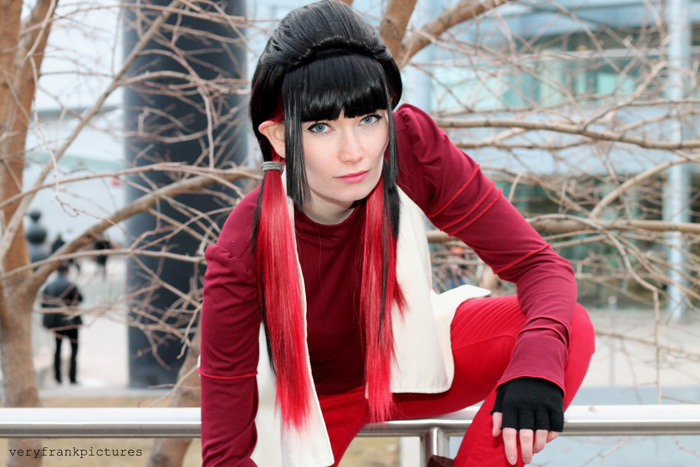 I can't wait to wear this costume again at upcoming conventions with more members of Viria's Modern Gaang!"